Taco Journalism: Taco N' Madre: Better Than Curra's! Taco N' Madre: Better Than Curra's! I realize the title of this post isn't high praise, but the close proximity of Taco N' Madre to Curra's invites comparisons. So, let me be clear: Taco N' Madre is decent, Curra's is not. 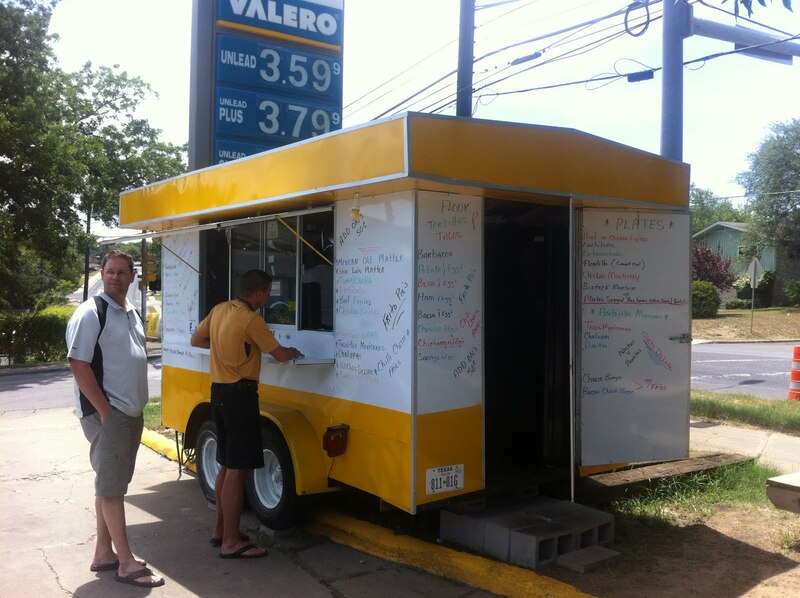 Located in the parking lot of a Valero gas station (right next door to Curra's), Taco N' Madre is unassuming. The simple white and yellow trailer didn't even have a sign with its name ( I had to ask for it); but it does have an extensive menu, written all over the side (using what looked like whiteboard markers). I ordered two tacos on flour tortillas and some fresh Lemonade. Unfortunately, only their large burrito-sized tortillas are homemade, so I had to settle for the 'small' ones. Even though they were store-bought, they did their best with them, letting them kiss the griddle just the right amount of time. Although the tortilla was cooked "just right", the barbacoa was not; it really needed to be slow cooked for a while longer so that the fat melts on your tongue, as good barbacoa should. Even worse, my barbacoa didn't include cilantro or onions. When the meat can't stand on its own, toppings and condiments are a must! The salsas, a red and a green, were standard fare, but a bit tepid. Neither of them had much heat, unfortunately, and were forgettable. 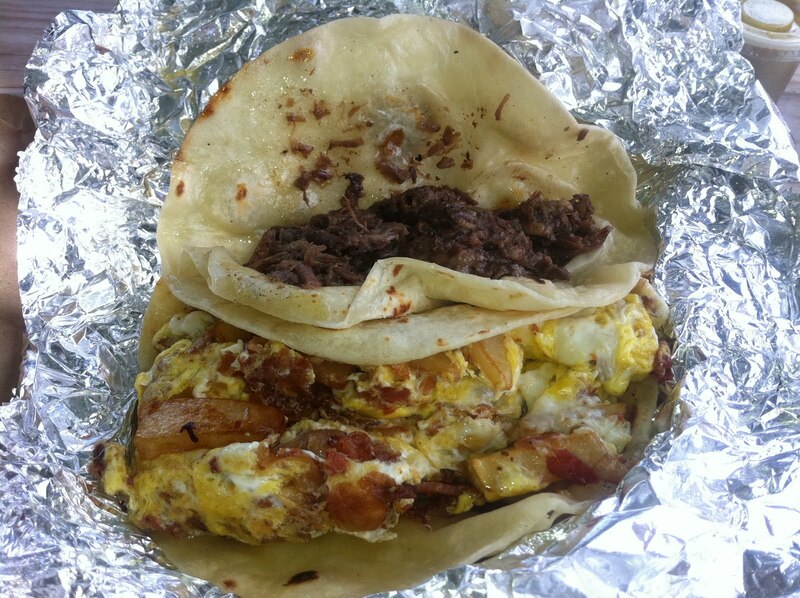 In contrast to the barbacoa, the breakfast taco was great. They delivered a full tortilla stuffed to the brim with thick bacon chunks, large cubes of potatoes and egg. They were also prepared right, with all of the ingrediants cooked together. If you find yourself at Curra's, do yourself a favor. Park your car, and walk next door to the trailer ... not the Greek place. Although that might be OK. You'll have to find out for yourself. I don't work for gyrojournalism.com, you know. Curra's has some of the best Al Pastor tacos in Austin.